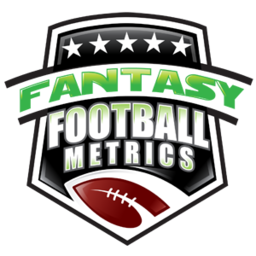 10:50pmET: Week 7 Projections updated. No updates Saturday, next update Sunday noon-ish. Note: I see Steven Hauschka sitting on waivers coming off the BUF BYE -- keep in mind the Bills aren't high scoring but they move the ball and stall drives, and are fine with FGs with their defense. Hauschka is 11-of-11 since Week 2 on FGs and has 4-3-3 for FGs the past three weeks. The Bills don't face a tough defense the rest of the season: TB-OAK-NYJ-NO-LAC-KC-NE-IND-MIA-NE to finish FF 2017. He's going to be a top 5 kicker potentially for the ROS because Buffalo will move the ball but settle for FGs often...and he's past his BYE. -- Rob Kelley expected to start MNF...and I'm redraft done with Perine as needed. -- Keenan Allen potentially out gets very interesting for Tyrell and Mike Williams...except it's Denver, so pretty much not good. -- Graham Gano has been a pretty solid FF kicker this season but reporting knee soreness -- that cannot be good. He's not so great you wouldn't replace him with a decent, healthier kicker? -- IDP note...Clayton Geathers back to practice. He has a couple weeks to be activated or shutdown. A couple more losses and I don't know why they;d rush him back from a serious neck issue. He's an IDP stud when healthy. -- Delanie Walker at-risk of a reduced role or out due to injury...Jonnu Smith could work as a hail mary if he is out against the terrible-against-the-TE Browns. 12:10pmET: Great news for those desperately starting Brett Hundley this week, or have assets tied to Hundley -- RT Bryan Bulaga has been cleared to play. -- FYI, our old 2015 Brett Hundley scouting report posted...just to get a better idea on what I saw pre-Pros/in college. Laugh at the "I think Jameis Winston will fall in the draft..." commentary at the bottom (written JAN 2015). I now realize, Winston could have robbed a bank while abusing a puppy mid-heist and he would have went #1 overall. -- Week 7 Projection update after official FRI injury reports from the NFL...looking at between 8-midnight ET tonight. -- One quick thing to put in your head -- if the Raiders dump/suspend Marshawn Lynch, which will never happen because he runs the Raiders and is using them to build his personal brand, but if so...Elijah Hood could get called up from the practice squad. A similar bodied back. Who should you want from the OAK backfield sans Lynch? I say, none of the above...but I assume DeAndre Washington gets more touches and Jalen Richard is more effective. -- After Tyreek had a solid TNF, he should jump back into the top 12 among WRs in PPG in PPR and nonPPR and more boost if punt returns mattered for you. -- I am told to expect both Kurt Coleman and Luke Kuechly back this weekend for Carolina, which is huge for them/not great for Mitchell T.
-- I'm also told we might see Teddy Bridgewater as early as Week 10 IF Case Keenum is struggling and IF Sam Bradford is done. Kyle Sloter will be released and they hope to put him on the practice squad. If Sloter makes it past the Browns in waiver priority I may go criminally insane at how awful NFL scouting and awareness is. My nickle bet -- Sloter signed by Atlanta but I PRAY it is Buffalo.